Australian artist Letitia Green knows too well the power of surrounding ourselves in nature. Her connection to the earth’s beauty was cultivated when she lived in South Africa in her late teens to early twenties. 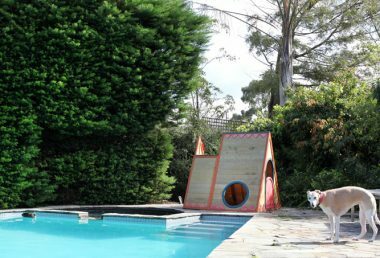 Nature and colour energise the Beaumaris ‘treehouse’ she now shares with her husband Michael, three-year-old daughter Tippi and dog Winnie. 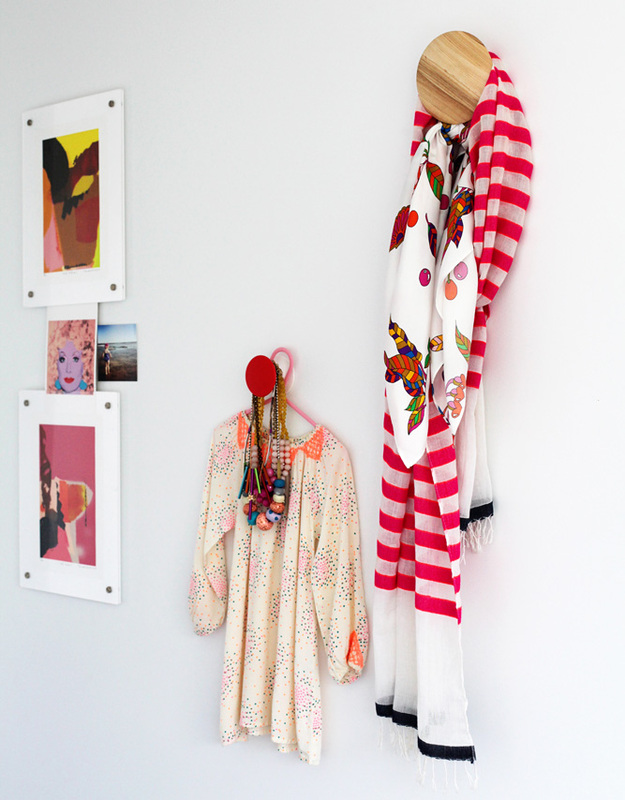 It’s also the inspo behind her striking collection of ethical, wearable art. 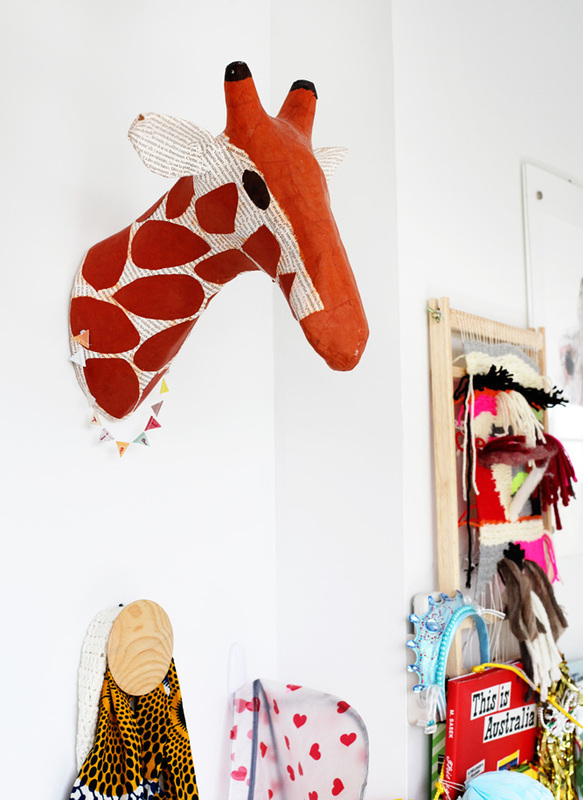 Brave use of colour in the open-plan living – ‘Giraffe’ painted by clever Letitia for Tippi’s first birthday. Motorbike original painting by Australian artist Jasper Knight. Photo – Tania Savage. Words Martine Harte. Favourite spot in summer to capture the sun. 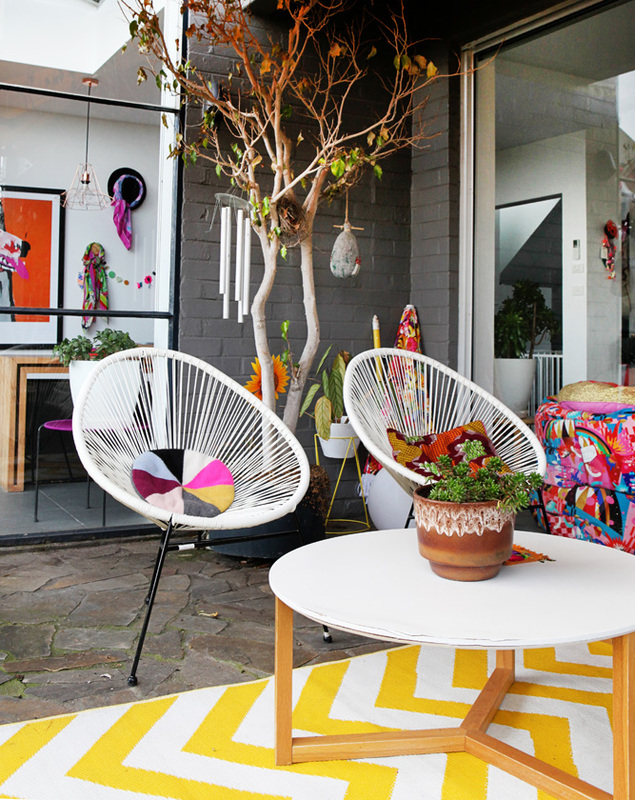 Letitia’s Kip & Co Arist Series beanbag collaboration with Kip & Co to the right. Photo – Tania Savage Words – Martine Harte. “My husband and I loved the lines of the home, the large steel windows and the aspect looking out, and just being surrounded by trees. It was built in 1957 where the original builder/owner lived in it for thirty years before the second owner renovated in the 80’s. 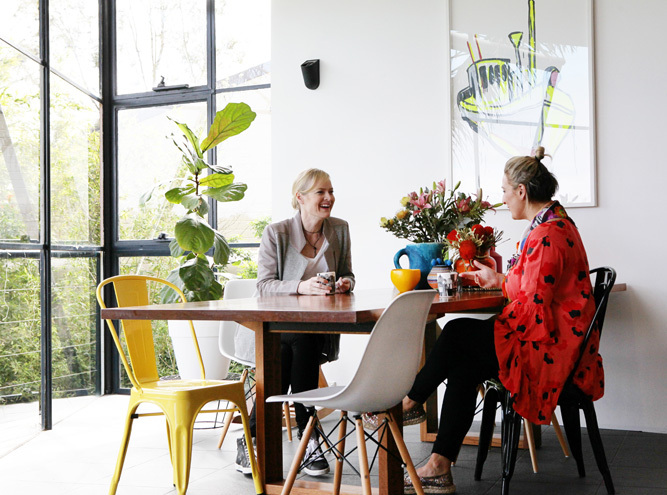 Engaging Women founder Martine Harte and Letitia chat (non-stop) with ‘Ship’ – another coveted piece by Archibald prize finalist Jasper Knight in the background. Photo – Tania Savage Words – Martine Harte. Letitia’s one-of-a-kind silk scarves were shown New York Fashion week for Australian resort and swim for 2017. Another badge of honour, her work was stocked in The National Gallery of Victoria Design store it can now be found in the Museum of Contemporary Art in Sydney. 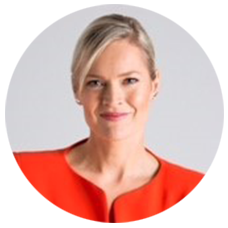 Her background is in fashion and graphic design, ranging for some of Australia’s biggest retailers and collaborating with some leading brands. Designs as art. She combines traditional hand illustrated artwork, painting, collage and digital design, the collection is made in small quantities using luxury silk & world leading technologies in digital printing. Photo – Tania Savage, Words – Martine Harte. Starting out as a creative agent, she would interview designers and illustrators and connect them with agencies and design studios. It gave great insight into her next step. “When I did work in fast fashion it was a little soul-destroying. I left the industry and I kept building my illustration and typography portfolio and started freelancing. The scarves came about after I had Tippi. I kept developing, researching and designing when I could. 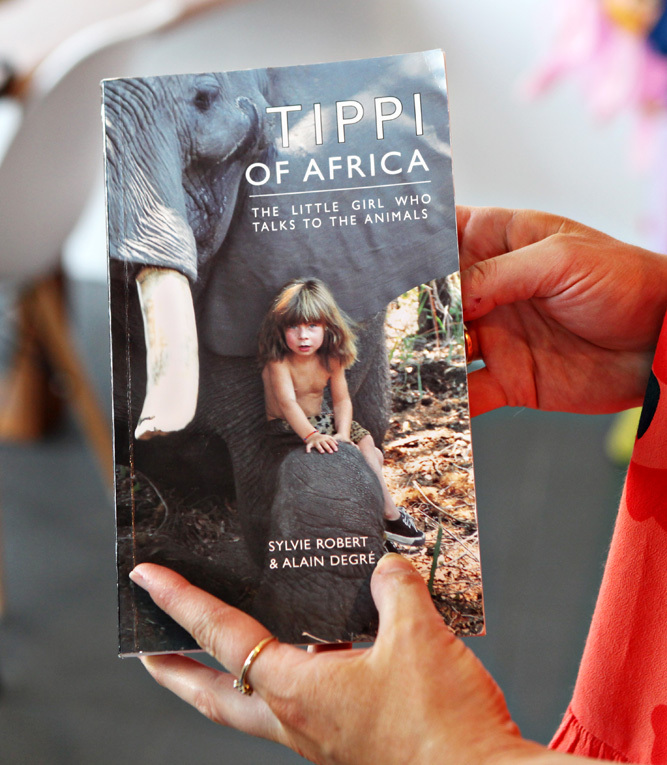 The collection was launched when Tippi was one, through the support of The Design Files and I soon developed an online store. 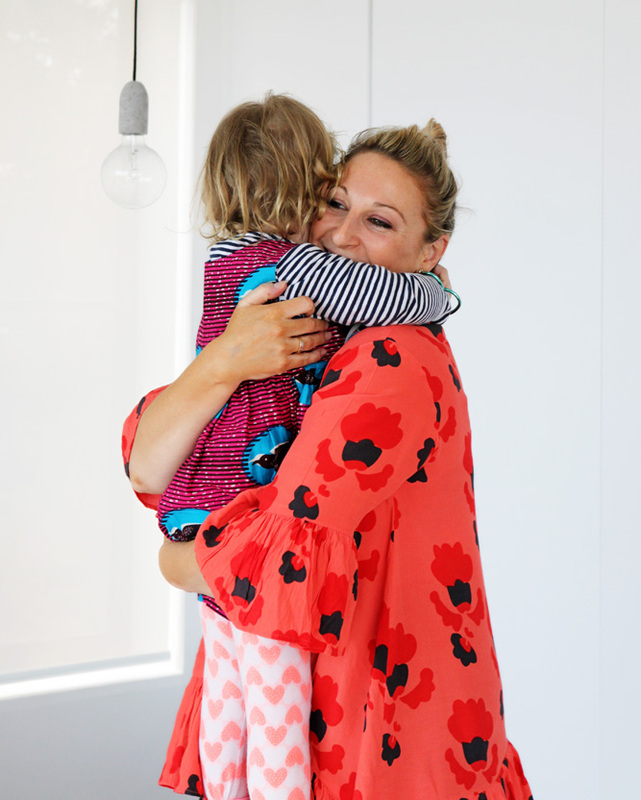 Because time was so limited (I’m still a stay at home mum) I didn’t put any pressure on myself to try and get it into retailers, or wholesalers, I just felt so thrilled it was out there. 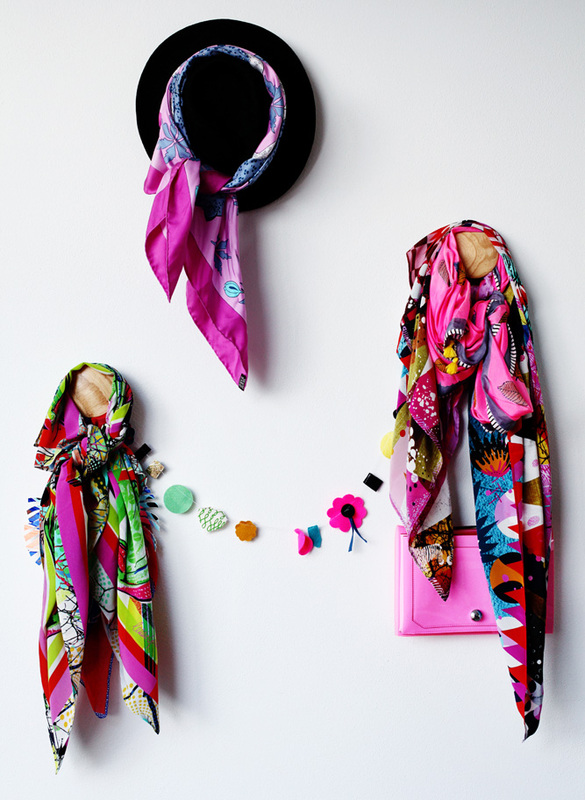 A lot of my connections through editorial illustration also led to publicity for my scarf label in magazines like Peppermint and Sunday Times which was really lovely. Slowly retailers started contacting me, the National Gallery of Victoria was one and that was really exciting. Museum of Contemporary Art in Sydney are another stockist which was thrilling and it’s things like that which tell me I’m on the right path,” says Letitia. 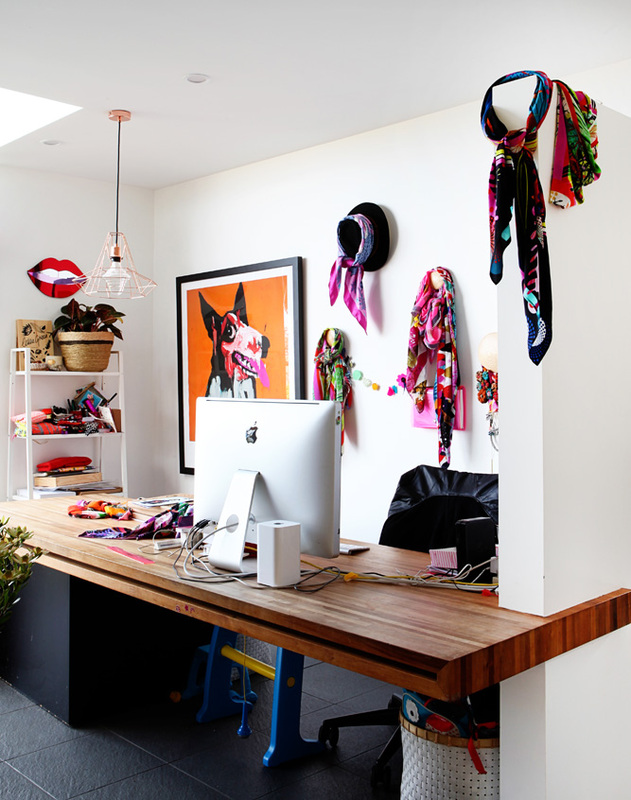 Photo – Tania Savage – a nook in the eclectic home studio. 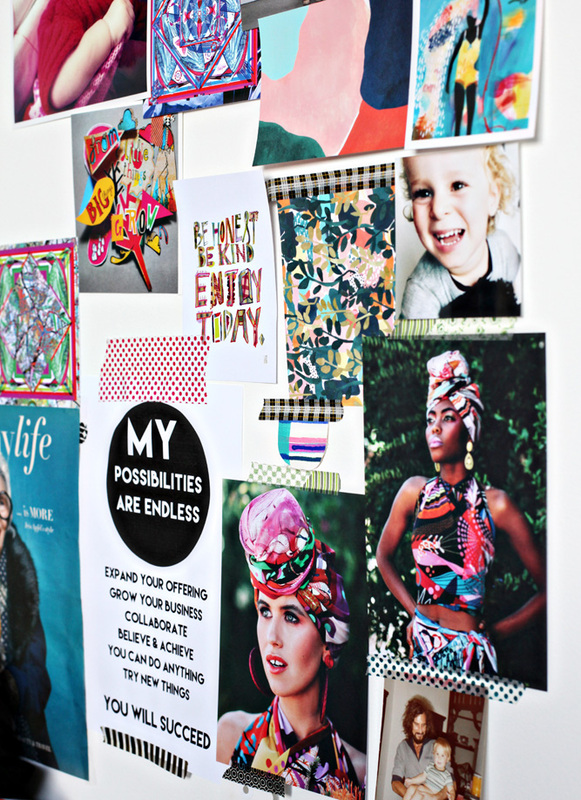 Home studio office – Where the art comes to life! Photo – Tania Savage, Words – Martine Harte. ‘Growler’ Limited Edition signed print by Adam Cullen. A wedding gift from her brother and sister-in-law, given to the couple when they still lived around the corner from Prahran’s Cullen Hotel. Photo – Tania Savage Words – Martine Harte. Living room wall details top right: a much-loved piece from local Bayside artist Christine Minter. 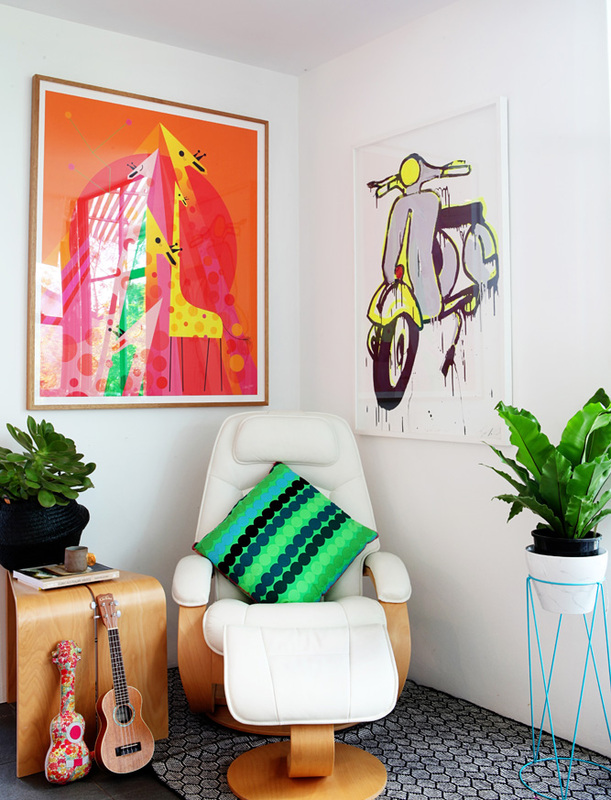 Original Aboriginal Art by Anna Pitjara, Monsteria hat piece on wall, part of Murley and Co and Letitia Green Collaboration. 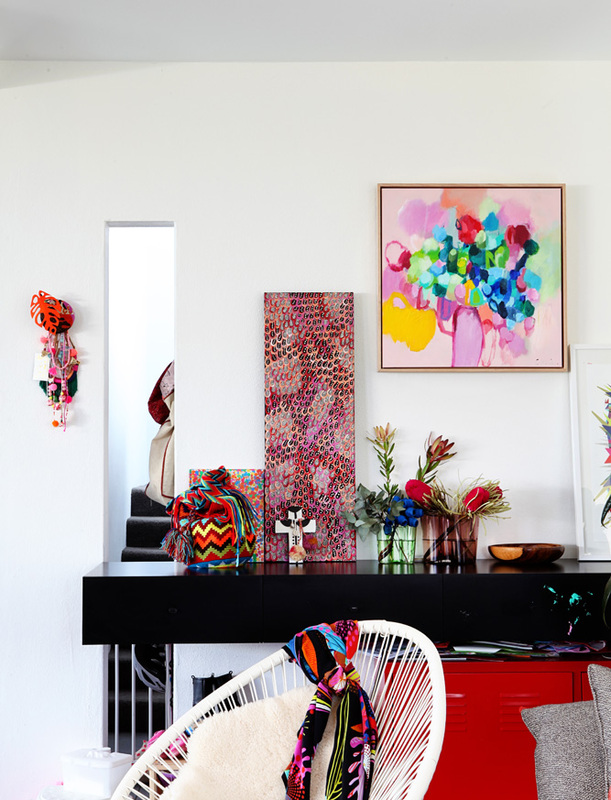 Australian native flowers can be found throughout the home. Photo – Tania Savage Words – Martine Harte. “Proteas were in my wedding bouquet, they remind me of South Africa. We lived on the border of the Kruger National park. The animals would come and drink from the river, it was a beautiful and serene part of the world. We had lots of markets where the Africans would come and have their beautiful wax prints – the music, the beaded baskets – I think just enjoying and seeing these artisans making art by hand gave me respect for colour, pattern and texture.” recalls Letitia. 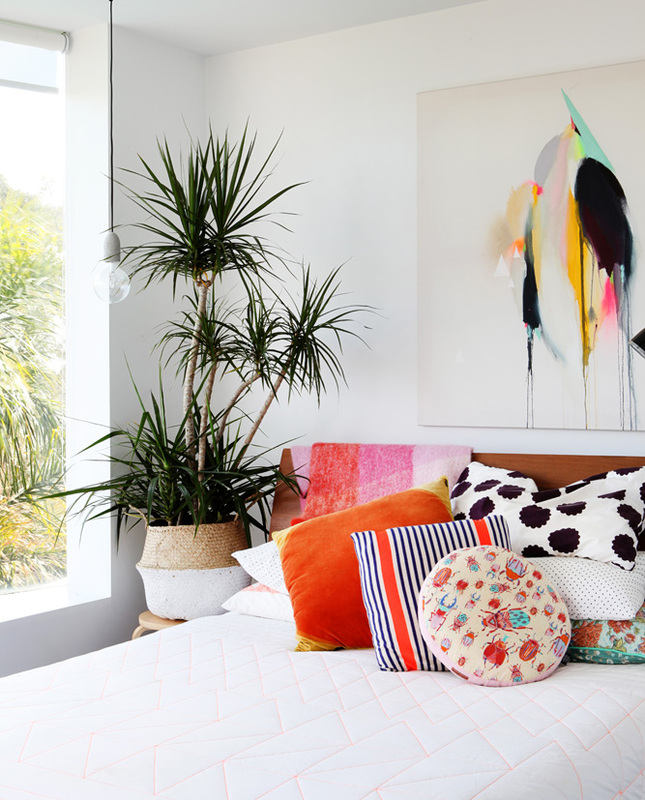 Tippi’s room. 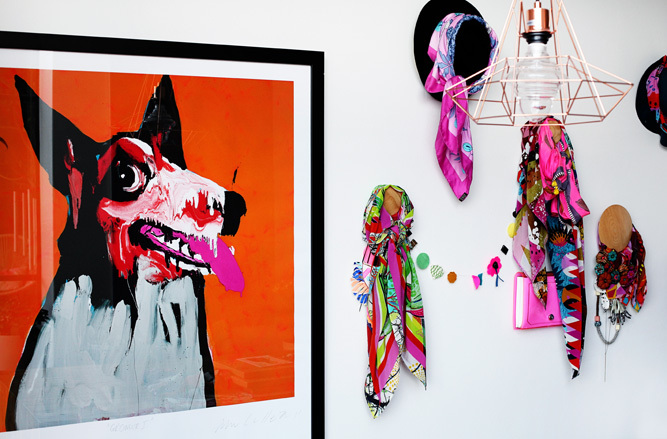 Fluoro bird – a framed tea towel by artist Madeleine Stamer. 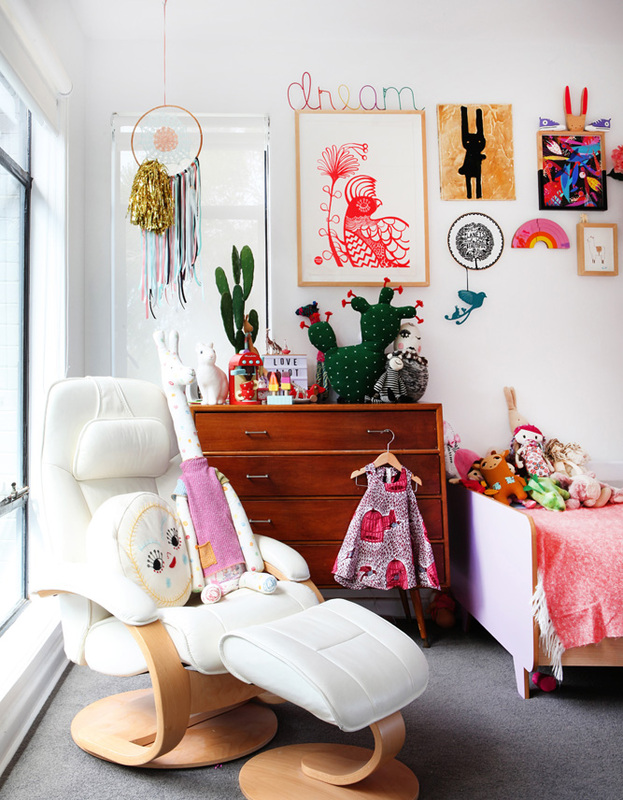 Beci Orpin smiley face cushion, Letitia’s Sodalite Sky artwork framed, Melbourne artist Carey Potter original Rabbit painting, along with mostly Australian artists work. Photo – Tania Savage Words – Martine Harte. Master bed: Main painting MSG Gallery Maurice Golotta. Selection of Marimeko, Country Road and Kip & Co cushions. Photo – Tania Savage Words – Martine Harte. 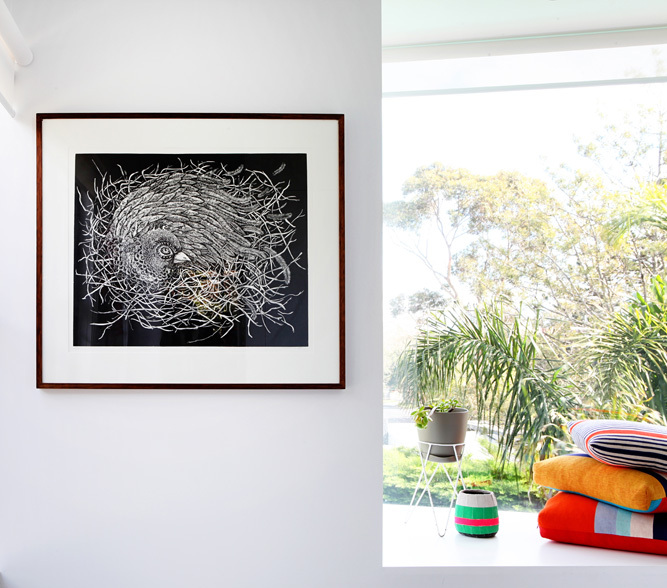 Jacinta Patterson ‘The Nest’ hand printed artwork speaks to Letitia. Photo – Tania Savage. “This piece is so stunning to me, it is hand printed and the artist is a mother and author a well. She made contact with me to interview me for the VCE Design & Communication book. I felt honoured to be included, and then we did an art swap. Photo – Tania Savage Words – Martine Harte. 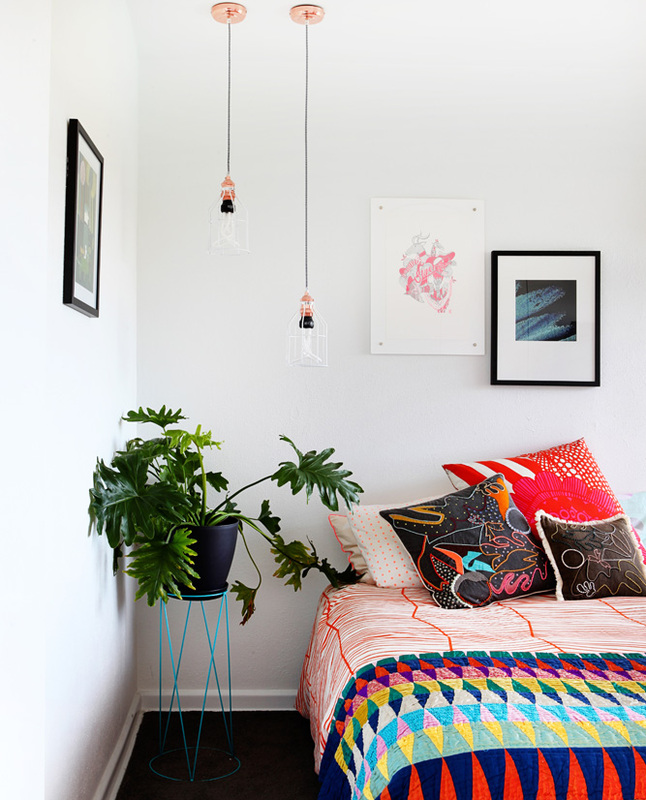 We’re also excited to share her recent collab with another mid-century home owner, lover of sculptural design Melbourne milliner Carla Murley – a friend of Engaging Women – remember Carla’s fantastic home here? They’ve designed an 8 piece collection of bespoke, patterned headpieces, for you to snap up for Spring Racing. Discover more of her designs and contact her through Letitia’s gorgeous website here. Or over on Insta here. Thanks for having us Greens! 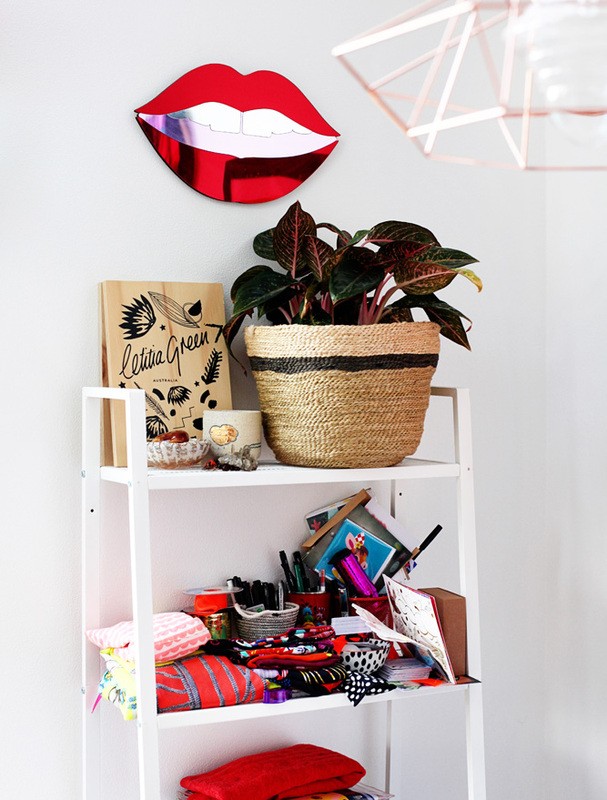 Want to check out Beci Orpin’s home? Head here. Or need to tap into some effortless calm? Pop over here..
Posted in Interiors, The Arts. 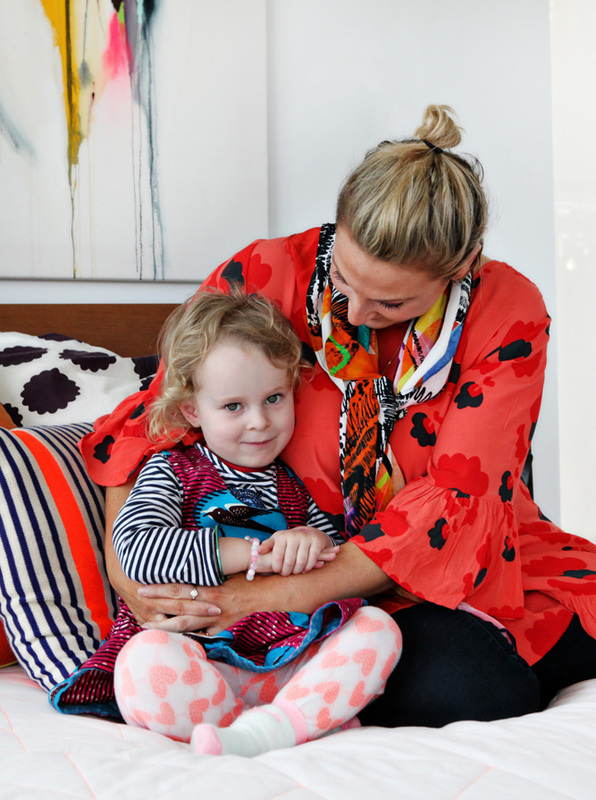 Tagged in Australian homes, Australian made fashion, Australian made scarves, Beaumaris artists, Creatives at home, ethical fashion, Melbourne homes, sustainable fashion.